I was absorbed in some project or another when they barged into my work space; my 13-year-old daughter and youngest son, 8. He was in tears and struggling to find words, so she filled in the blanks. “We’ve been talking about reincarnation, and he’s getting freaked out,” she explained. “I don’t wanna believe it but what if it’s true?” he said between sobs. Apparently, my youngest three kiddos had been having a deep discussion about life and faith, and it had all come around to the idea of reincarnation. My middle son, 11, had said that when he thinks about it, his stomach feels funny. And that got my youngest thinking…and wondering…and worrying. If reincarnation were true, he must have been surmising, then everything he’d been learning about God, about faith from the Catholic worldview, would be false. After a while, my daughter left and I was alone with my littlest. When he’d first come in I thought he’d been hurt in a sibling squabble. But it had quickly become clear it was his soul, not his body, that was hurt. Was I up to the task of setting things on a smoother course? For a moment, I felt incapable, and then somewhere from deep within, a calm confidence. I can do this. After all, the anticipation of these kinds of moments is really what had set me on a path of better knowing my faith starting around 1994. The thought of my future children having big questions that I couldn’t answer had sent me spinning, and researching. 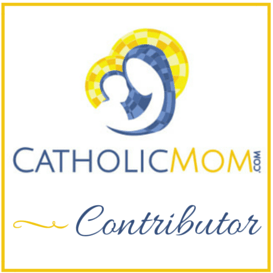 Through this study, I fell deeply in love with my Catholic faith. 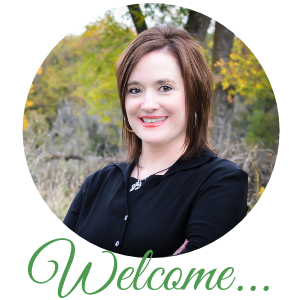 Soon thereafter, I learned I was pregnant and knew I’d be calling on my new knowledge someday soon to help me in nurturing the souls of my growing family. And now, one of those someday moments had come. This same child would be Confirmed in the spring; his soul was readying for something big. Suddenly, I saw the question less as threat and more as a wonderfully-timed moment in his spiritual life. And I was ready, not by my own accord but by God dwelling within me. We talked for a while, and though I don’t remember now everything that I said, I assured him there would be a lot of different ideas that would come to him during his life, either by others or through his own mind, and that there was time to sort through all of this. I told him his questions would bring him closer to God in the end; that asking them would actually help him love God more; that those who don’t ask, or who simply don’t care, are more at risk of being far away from the love of God than those who do. “I want to believe,” he said. “I really do. But I don’t know…” He was still in distress. It was then that inspiration rose up. As I talked, he began to calm down. Can an 8-year-old really understand these big answers, I wondered? I don’t know for sure, but what I do know is that he left the room a whole lot lighter than when he came in. And there it was — sweet affirmation of what I’d told my young son. Even when we’re not absolutely sure, even when we’re more aligned with Doubting Thomas than the saints in moments of unequivocal certainty, the desire to believe is as much belief as belief is. Though I know this won’t be the end of his big questions, I’m not alone in helping keep my son going in the direction of faith, in belief in the God who set this world in motion and will lead us to eternal happiness if we seek him. And to be honest, when I reflect further on this incident, I see so many good things. I see a conscience being formed, a desire to want to know truth, a yearning for love and goodness. It was all there — the biggest stuff of life rolled into a five-minute, spontaneous, teachable moment. 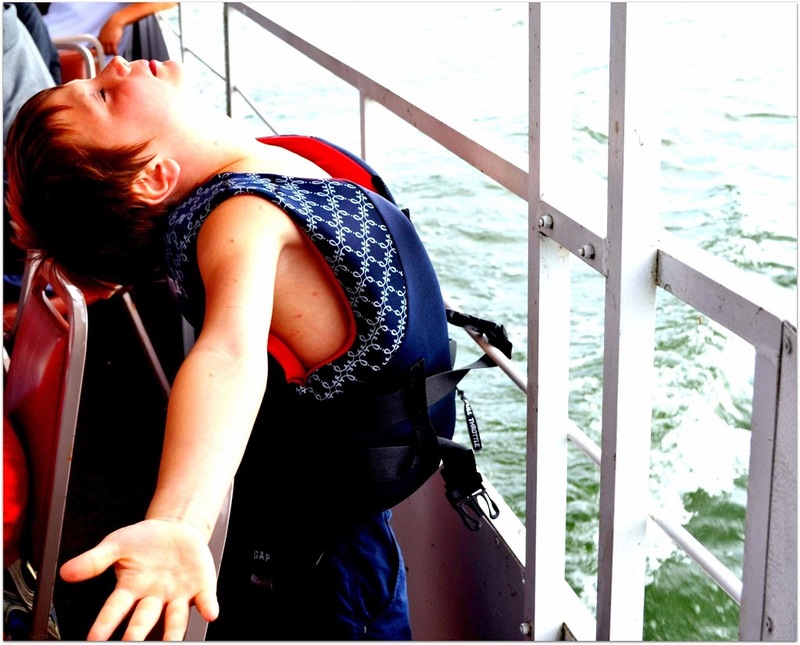 What I want most for my son, and his siblings, and all those I love and even those I don’t even know, for that matter, is the taste of true freedom; the kind this same son so aptly demonstrated during a boat ride this summer. To me, this is a picture of someone being in a stance of complete trust because he knows he is tethered. And with God’s help, I want to help guide him so that by the time his earthly life ends, he will have returned to this place, arms open and trusting and lavishing the love meant for him from the start. What big questions have you helped answer as a parent? Beautiful, Rox. God and faith are in the questions! Amen. This had me in tears. At first, I was heartbroken for your little guy, but as I read on, my heart filled and I those sad tears turned to tears of joy. This post is an awesome reminder for all of us. Thanks Gals! One of the lessons I learned is that I didn’t have to actually explain reincarnation or why it is or isn’t what we believe or anything. I just needed to assure him it’s okay to ask questions, and that the answers will come, and that God loves him. That was enough. So I learned a lot in this too!